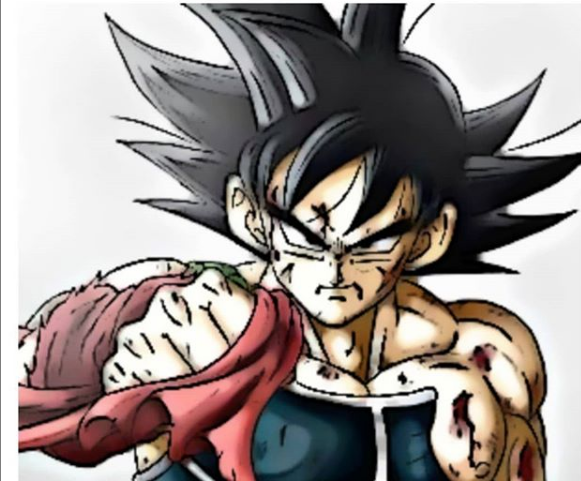 Dragon Ball Super: Broly made big waves because of how Akira Toriyama reworked the famous movie foe Broly into a new character fit for the series' canon, but that's not the only change it's made to the Dragon Ball love with another character that saw a good deal of change was Bardock, but even with all of that change fans were treated to something familiar as Dragon Ball Super: Broly revisits a major scene from Dragon Ball Z film, Bardock - The Father of Goku. Dragon Ball Super: Broly made big with huge waves because of how Akira Toriyama reworked the famous movie villian Broly into a new character fit for the series' canon, but that's not the only change it's made to the Dragon Ball love with another character that saw a good deal of change was Bardock, but even with all of that change fans were treated to something familiar as Dragon Ball Super: Broly revisits a major scene from Dragon Ball Z film, Bardock - The Father of Goku. The Bardock's final stand is recreated in Broly, but there's zero focus on how Bardock feels during the event. There's a brief scene in which Bardock is floating in between Freeza's ship and Planet Vegeta as Freeza's army surrounds him, much like in Father of Goku. When Bardock fires his final ki blast which overwhelmed by Freeza's power in the same way. Almost anti-climatically, Bardock is quickly destroyed along with Planet Vegeta. So, while the new film pays tribute to Bardock's past incarnation with a shout-out to this major scene, Bardock's death is not given that final bit of focus Dragon Ball Super: Broly is more about how the current Saiyans are distancing themselves from the ghosts of the past, so while revisiting this scene is a cool moment, it's not necessary to bring back everything from that past avatar.